Chris Hecker's new espionage game about subtle behavior, performance, perception, and deception. 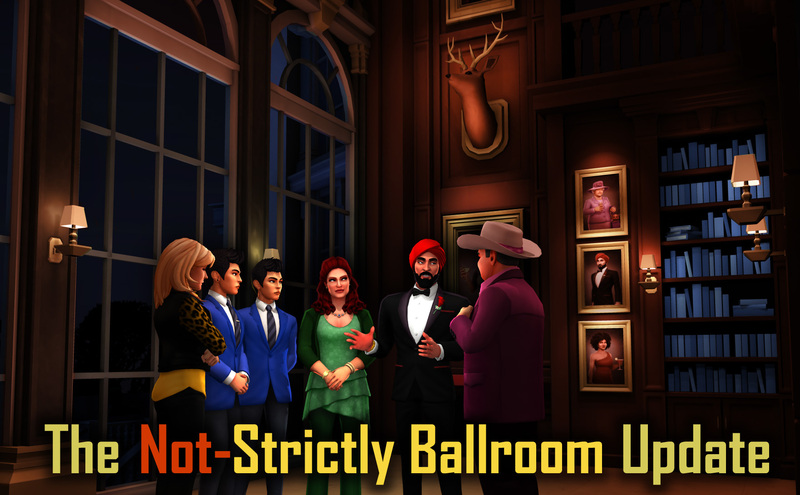 The Not-Strictly Ballroom Update is Coming This Week! The next SpyParty update is almost here, and it shall be called The Not-Strictly Ballroom Update!1 I’m going to try for the end of this week, so Thursday or Friday, September 24th or 25th. Given my track record on hitting dates, wish me luck. As always, if you join the SpyParty Early-Access Beta you get all the updates and the final game and Steam keys and whatever other platforms the powers-that-be will let me give you when it’s done. Yes, currently they have pictures of themselves hanging in their houses. Eventually they’ll have better taste. So, besides being a kind of silly joke about a kind of awesome movie, the name refers to the fact that this update contains two big features. The first big feature is the updated Ballroom map, and oh boy John outdid himself on this one. However, the update is not strictly the Ballroom update, and so the second big feature is the third group of new art characters playable in game! And then, as usual, there are a bunch of smaller fixes and features, most of which are fixes to The Spectation Update. Life was simpler then…also, apparently walls were shorter then. Drag the slider, or click here for the full-sized fancy before/after image! What blows me away about these images is they’re exactly the same size room, and I even lined up the cameras between the shots. I moved the Security Guard over by a bit, but take a look at the statues and the walls, they’re exactly the same! They look like completely different-sized spaces to me. The power of art. 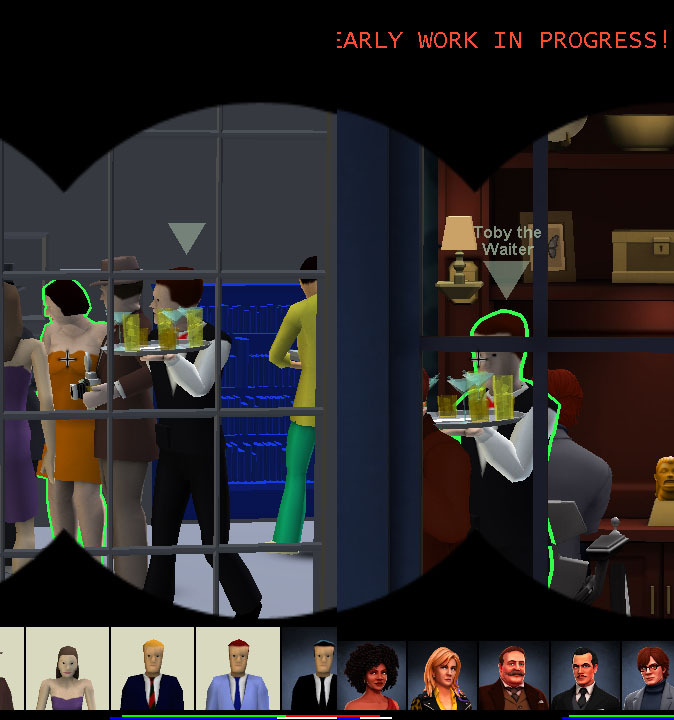 SpyParty is in part a game about seeing, and so I will be very interested to see how the visual aesthetic change affects the gameplay. The other big feature of The Not-Strictly Ballroom Update is the third group of characters is finally in the game and playable. Normally we do characters in groups of five, but because of the twins, you’re getting six for the price of five! 20% more gameplay! Such a bargain! It’s going to be very interesting to see how the twins affect the game. Right now, one of them wears all the jewelry,3 so Snipers should be able to tell them apart, but you will usually have to zoom. We already had situations at PAX where Snipers shot the wrong twin, including a case where both twins went behind a pillar going in opposite directions, and then must have bounced off each other and went back out the way they came, and the Sniper assumed they’d kept moving straight and shot the wrong one. Good times! 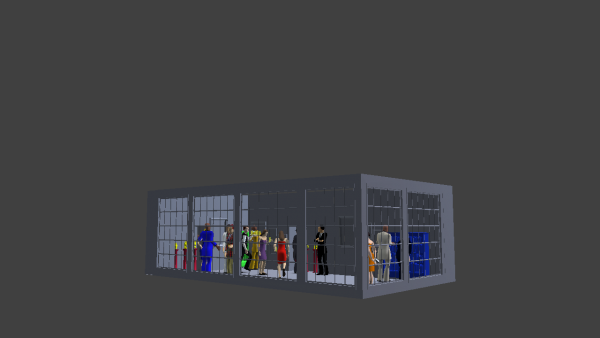 Speaking of the number of guests, as a random experiment, the new Ballroom will have 16 guests instead of the 13 the old one had, so we’ll see how that plays for a bit. I left the Beginner vs. Beginner Ballroom with 13 because I didn’t want to change its tuning, but for the full unlocked map with all the options, I thought it might be fun to see how more guests played. Back a zillion years ago, when Ian and Paul were the elite playtesters,4 we did some testing and everybody agreed that “Any 3 of 4” missions and 13 guests on Ballroom was more fun and interesting than “Known 4” and 17 guests.5 The larger number of guests made it feel overwhelming for the Sniper in an unpleasant way, and so Ballroom has had 13 guests since then. Well, the meta has changed a lot over the years, so it seemed reasonable to revisit this, and give people a new option to play with. I’ll be watching the beta forums for how people feel about the additional guests. I’m fixing a bunch of stuff from The Spectation Update, and adding some small features. I need to get the final list of stuff together, and when I do, I’ll update this post. I have already fixed the annoying bug that made the guests start sliding around on longer games. I think I’ll blog about that, it was kind of interesting. 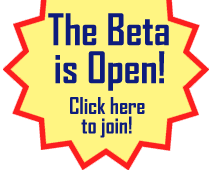 Until then, join the beta if you haven’t already and you’re into that sort of thing, and I’ll see you online! Also, I’m hoping to start streaming again over at http://twitch.tv/spyparty now that the summer is over. Yeah, Toby and Damon will be the last to get hit by John’s art stick! I’m hoping I can keep the old art working, but as we add more stuff it gets harder. So, not sure yet, but hopefully. And one more thing, what’s the font/typeface for the logo/text-in-the-update-pictures? Enter your email to get SpyParty News! 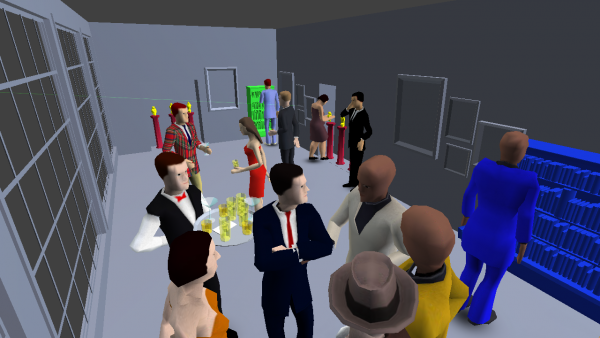 SpyParty is a spy game about human behavior, performance, perception, and deception. 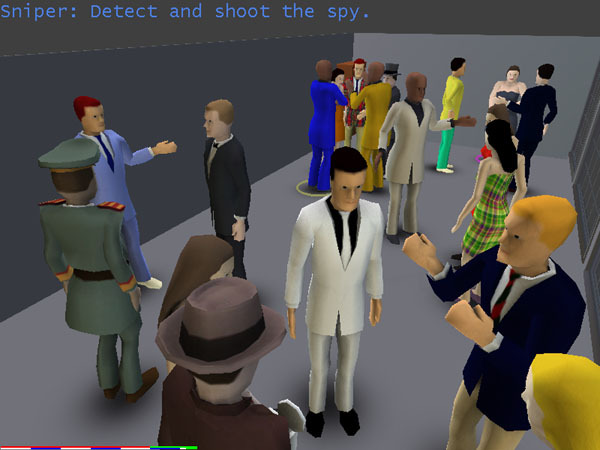 While most espionage games have you spend your time shooting stuff, blowing stuff up, and driving fast, SpyParty has you hide in plain sight, deceive your opponent, and detect subtle behavioral tells to achieve your objectives. Unlike the suave and confident spies you might find in films or books, most spies in spy games are more like super powered commandos--more Rambo than James Bond. By contrast, SpyParty is a new and quite different game about the more interesting and deeper aspects of being a spy. Yes, at least in beta form! Head over to the Early-Access Beta Page for details! 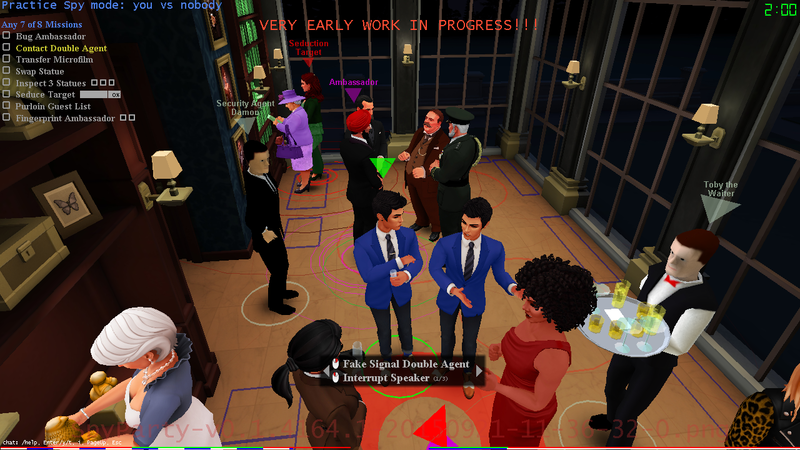 SpyParty is currently in active development, but there is no ship date yet, and there won't be for a while, because I want to make it perfect! All of the art you see on this website is placeholder art for the gameplay prototype! This blog documents the game's progress. Feel free to leave questions and comments, and I'll try to reply. Also please tell your friends about the game, and follow the game on Twitter or Facebook. 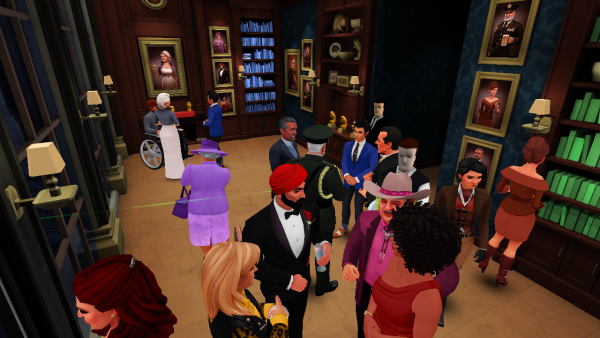 Indie games like SpyParty depend on fans to spread the word. Thanks! 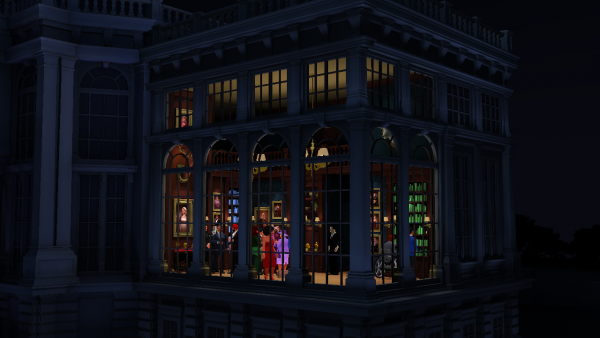 SpyParty on Steam April 12 + Six New Maps Up Now! We now have a Steam Page! Three Updates: Five New Characters! Entries (RSS) and Comments (RSS). Powered by WordPress and a modified Fluid Blue theme.